The running joke about the Timberwolves becoming the “TimberBulls” inched closer to reality Monday when Luol Deng signed a one-year, $2.4 million contract with Minnesota. This latest addition gives Timberwolves head coach and president of basketball operations Tom Thibodeau another player from his Chicago days on the current Minnesota roster. Bringing Deng into the fold is not crazy on its own. The 33-year-old is a solid locker-room presence and may still have some minutes left in those legs. But when when you place the Deng signing alongside previous moves for old Bulls Jimmy Butler, Taj Gibson, Derrick Rose, Aaron Brooks (currently unsigned) and John Lucas III (now on the Timberwolves’ coaching staff), it puts into perspective the unique challenge for those in Thibodeau’s position. Handling the responsibilities of being both head coach and general manager is nearly impossible, and it wouldn’t be all that shocking to see NBA franchises eliminate the idea completely based on the recent run of success — or lack thereof. Obviously Popovich has been a key figure in building the Spurs into a top-flight organization, but even he experienced his fair share of issues last season with the Kawhi Leonard soap opera. Popovich’s partner in personnel decisions, R.C. Buford, also deserves plenty of credit for constructing rosters that fit the Spurs’ culture. He is a two-time Executive of the Year, after all. Under Thibodeau’s leadership, the Timberwolves have taken steps forward in the short-term — he deserves credit for the blockbuster Butler trade — but what’s the long-term play here? Andrew Wiggins is locked up with a contract worth nearly $150 million, and an extension for Karl-Anthony Towns should be a no-brainer. However, Butler could be leaving next summer as a free agent, and it’s not as though there are other developing stars down the depth chart. It’s problematic when the guy wearing the coach hat also has to view the players he sees every day in terms of their trade value or what they deserve on their next contract. Budenholzer struggled with these situations after the Hawks’ 60-win season. Van Gundy gave away bad contracts and missed on draft picks. Rivers dealt with accusations of nepotism when it came to keeping his son, Austin, and reportedly lost the trust of Chris Paul in the process. 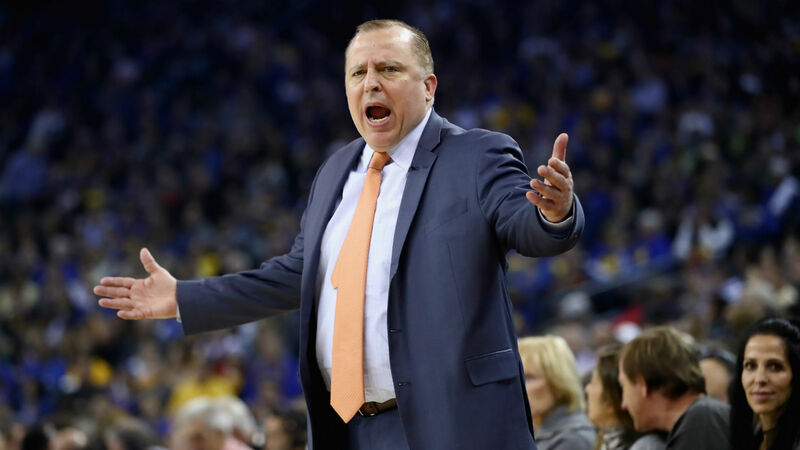 Even for a seemingly innocent signing like Deng, there will be questions of whether Thibodeau is thinking as a coach or executive. That’s why franchises have moved away from the dual role in recent years — and why it might be a long time before fans see someone capable of handling both jobs.